Remote monitoring of multiple sclerosis patients in trials using a smartphone app is not only feasible, but performs as well as specialist assessments in the clinic, according to a new study. The latest results from the FLOODLIGHT clinical trial programme show that additional, real-world data using smartphone or smartwatch technology given to patients treated with Roche’s MS therapy Ocrevus (ocrelizumab), which was launched in March, can be a valuable addition to in-clinic measures. The Android-based app uses smartphone sensors (the accelerometer, gyroscope and magnetometer) to measure both active neurological tests - in which the patient is asked to perform tasks such as daily hand motor function, gait and static balance tests, weekly cognitive tests, and patient-reported outcomes - as well as passive monitoring of metrics on gait and mobility, to provide objective measures of disease progression. Interim results have been presented at the ECTRIMS-ACTRIMS conference in Paris, and show that the results of the remote patient monitoring matched with the findings of periodic in-clinic tests pretty closely, with some advantages. For instance, a measurement of hand/arm function using a smartphone-based pinching test may detect impairment in patients whose disease has not yet progressed to the stage where they test positive on a widely-used clinical measure called the nine-hole peg test (9-HPT). Similarly, another assessment - of turning speed - also matched clinical assessments and according to the researchers could spot impairment earlier. The data “support FLOODLIGHT as a potential complement to in-clinic testing to provide a more complete and consistent picture of a patient’s disease progression”, said Roche, adding that the tool “enables a continuous stream of precise, real-world MS disease progression data to be collected and analysed using dedicated algorithms and machine learning”. 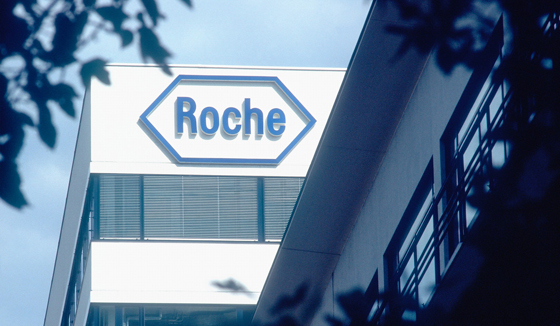 MS isn’t the first disease in which Roche had used this app-based monitoring technology. The company has also put an app for Parkinson’s disease through its paces within a phase I trial of drug candidate Prothena-partnered RG7935 which got underway in 2015. That programme advanced to phase II earlier this year. Meanwhile, Novartis has also been looking at the use of smartphone-collected data in MS in its elevateMS study, which got underway in August and is focused on understanding the daily challenges for MS patients and trying to develop new real-time measures that can be used to help determine treatment effectiveness.